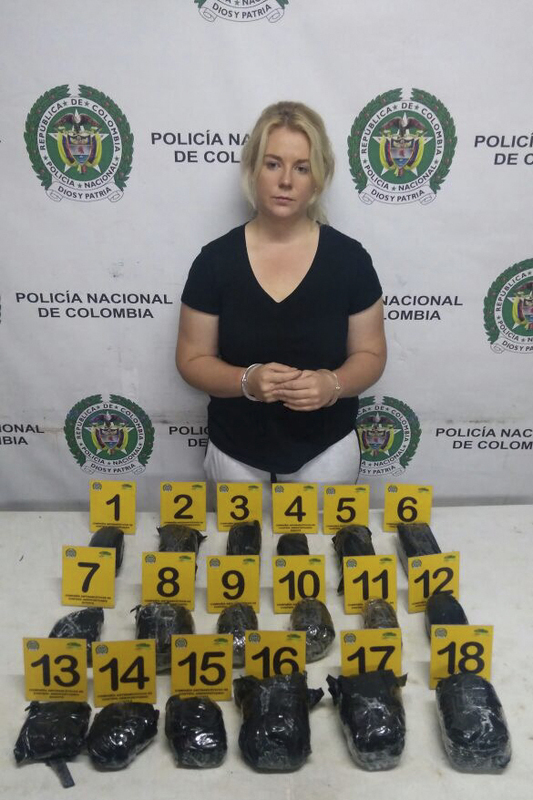 Accused drug mule Cassandra Sainsbury will struggle to get a fair trial in Colombia after being publicly ridiculed by her fellow Australians, an expert has warned. Sainsbury, 22, was arrested on April 11 at El Dorado International Airport in Bogota with 5.8 kilograms of cocaine in her luggage. She claims to have been framed, but a number of Australians were quick to rubbish her defence with comments alleging Sainsbury’s guilt on her crowdfunding page. University of Newcastle international law professor Dr Amy Maguire said the public’s jump to conclusions could negatively impact her trial. “In terms of the social media age there is a problem of the impact of what’s published online prior to trial,” Maguire told The New Daily. Maguire urged people to think twice before commenting to ensure the kind of “lawful, fair trail” they would want in the same predicament. “If nothing else, if people could imagine themselves or a loved one in this sort of circumstance before they post, query if this is how they would want their loved one to be treated,” she said. Dozens of Australians have questioned Sainsbury’s innocence, with some calling her out on the FundRazr page. A photo released by Colombia’s National Police shows Australian Cassandra Sainsbury in handcuffs after she was arrested at the international airport in Bogota, Colombia. Cassie’s mother, Lisa Evans, said her daughter had been duped into bulk-buying boxed headphones containing concealed drugs from an acquaintance. She said Sainsbury had purchased the headphones as presents for her bridal party and friends for her upcoming wedding. Evans told Channel Nine’s Today show she didn’t know how someone could use her daughter to traffic drugs. “Cassie is just, ‘I didn’t do it mum, you have got to get me out’ and crying hysterically,” Evans said. Sainsbury is facing up to 25 years in jail and is currently being held in the notorious ‘El Buen Pastor’ (The Good Shepherd) women’s prison, which is reportedly overpopulated by as many as 50,000 inmates.